"This great film by Anthony Fabian tells this story through the eyes of a happy girl who grows into an outsider. This isn't one of those potted stories of uplift and doesn't end quite the way we expect, although we do get to see the real Sandra Laing right at the end." "Of the innumerable, untold family tragedies that followed the imposition of the racist restrictions of the apartheid regime, the story of Sandra Laing is one of the most devastating. Skin tells her story with deep compassion and, for all its starkness and tragedy, it is a work of great beauty and inspiration." "The journey to racial tolerance, which some people take for granted, has not been easy and over the years many people have struggled with the idea of accepting others as equals. It is within this context that all South Africans should be happy that a movie has been made that tells this story of race and racial tolerance which, thankfully, is slowly taking root in our society ." 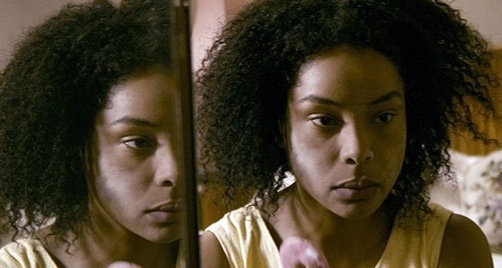 "The English actress Sophie Okonedo plays Sandra from age 17 to recent times. She takes her from shy kid to young mother to mature woman, through an amazing series of travails. At each turn, things become both more absurd and more tragic. Fabian has done a superb job. 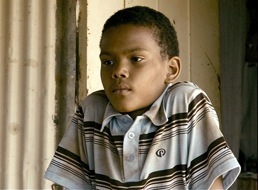 It's a scarifying, haunting film; Laing's story is brutal and the film never softens that. She survived, but what a price she paid." ""We've all seen movies and TV shows based, or supposedly based, on true stories, but I can't remember the last time one of them affected me quite like the South African movie, SKIN." "To get a sense of just how deep the lingering effects of institutionalized racism must run, take yourself to Anthony Fabian's Skin, a powerful and compelling drama based on a true story that still resonates." ABC Drive-Time Radio, Perth, Australia. Listener Margaret Roberts rates the film "Six out of five." 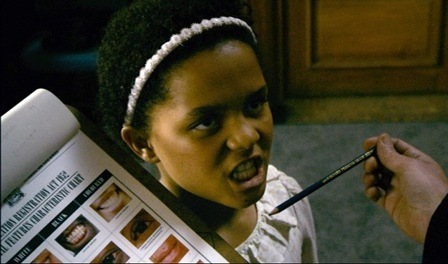 We review 'Skin' - the new award-winning South African movie starring Sophie Okenedo and Sam Neill. The film tells the true story of Sandra Laing who was born in Piet Retief, a small conservative town in apartheid South Africa. The newspaper columnist Hannah Pool, who is Eritrean by birth but adopted by white British parents, comes into the studio to review it for us. "In today’s PC world it’s easy to forget the absurdities of apartheid rules, or the way they still influence how we regard each other." "A remarkably accomplished first feature"
"This is a powerful movie. See it — but go prepared." "Director Fabian’s debut is focused, well crafted, and free of sermons. " "Okonedo gives an outstanding performance as a woman forced to live in two worlds under the blistering rule of Apartheid. She’s so convincing that you hang on to her every word and movements." "Skin is an extraordinary movie that respects the complexity of the issues involved." "..looks at the hurtful legacy of apartheid in South Africa.."
"Sophie Okonedo - most known for her roles in Hotel Rwanda and The Secret Life of Bees - delivers an exceptional performance as the elder Sandra." "..a most potent depiction of racism and a South Africa not very far in the past. "Sophie Okonedo, who plays Laing, does a fantastic job of capturing the full spectrum of her character ." "Of a Black Woman Born to White Parents"
"My favorite feature film pick for this year." "Skin is film-making of a very high order… there are no transcendent heroes, just people -- confused, afraid, wanting to love and be loved, caught in the web of a great evil and trying to make a go of things by their own best lights. 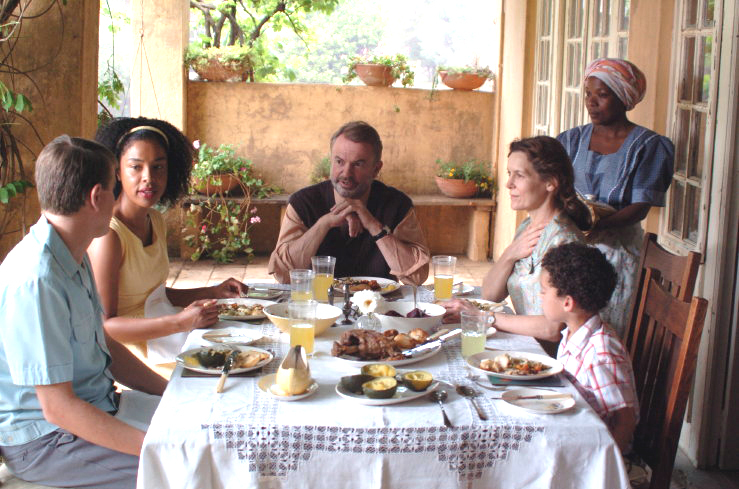 I cannot recall a film that captures so well the textures of SA, South Africans and life under apartheid." “I don't know why, exactly, this movie resonated so much with me, but it damn near killed me. I was practically hysterical when it was over, and had to sit in the theater for several minutes after the film ended so I could pull myself together enough to leave. This had the potential to be emotionally manipulative & sentimental, but, in my opinion, it was brutally honest and totally real."